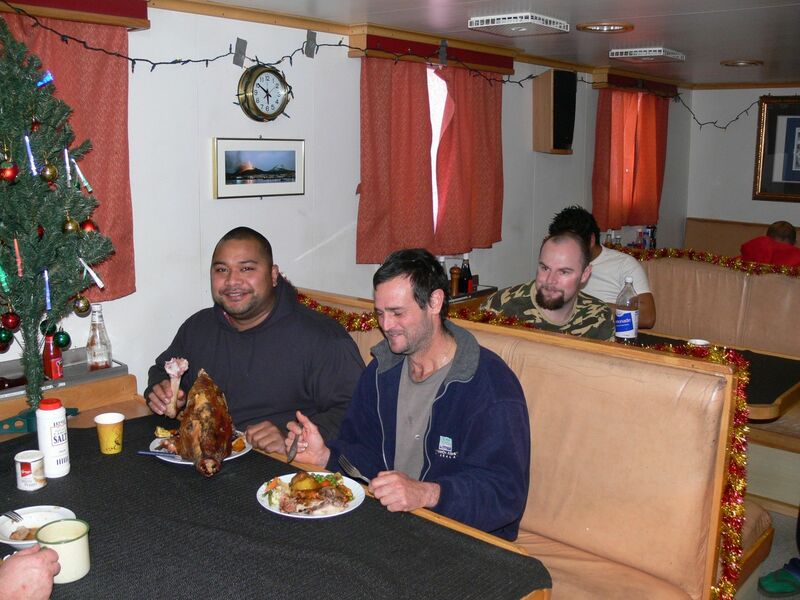 It’s Christmas day and fortunately we are moving between fishing grounds meaning we have down time and can relax and enjoy another feast after yesterdays Hangi. 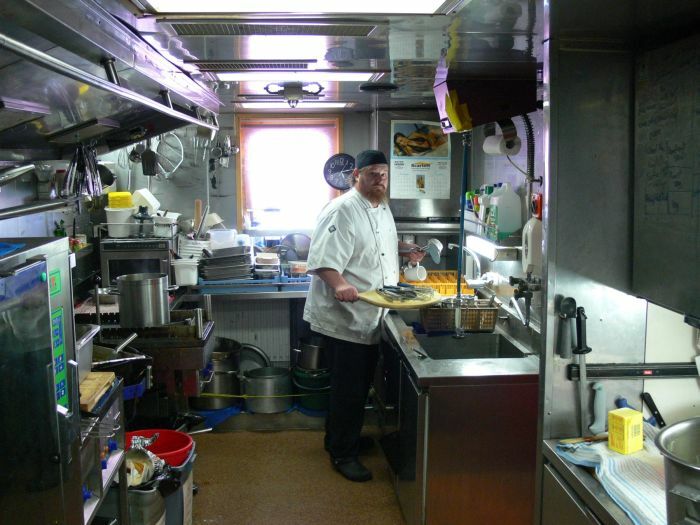 Hamish is a great cook, his menu changers every day without exception. Over the last 6 days he has invited suggestions for Xmas dinner. I hear someone mentioned KFC !!! I understand that feller is giving Hamish a wide berth lately, and so he should. 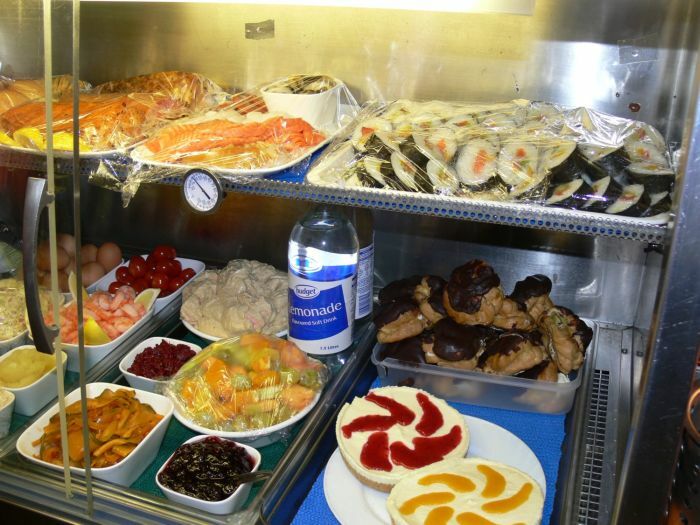 When you’re out here for weeks on end, months in fact, the one thing we really look forward to is good food. Needless to say, Famous Hamish takes the opportunity to build on his reputation every chance he gets. 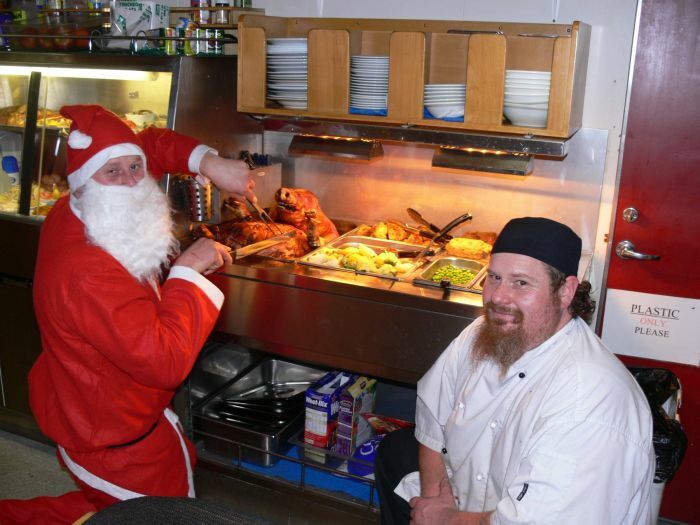 Hamish getting a little help from Mr Claus. A bit more of the spread. 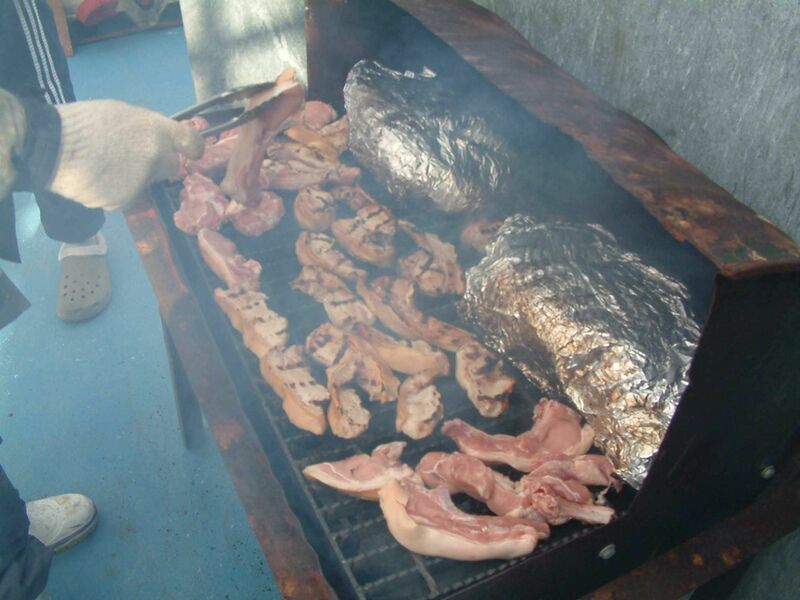 Sam grazing on the Pig’s head and Sandy with regular meal. From left, Hamish, Ronan, Patrick, Murray (The chief), Aaron (In front) Who's that at the back ?, Mat, Brady and Francois (Mr Pitt). Fishing on the northern hills has been great for the first 3 weeks of the trip….. Too busy for bloging even. Yesterday we had notification from CCAMLR advising the closure of area B,C,G. These are the 3 areas that cover the northern portion of Ross Sea fishery. At midnight all lines had to be out of the water and fishing must cease in these areas until next season. 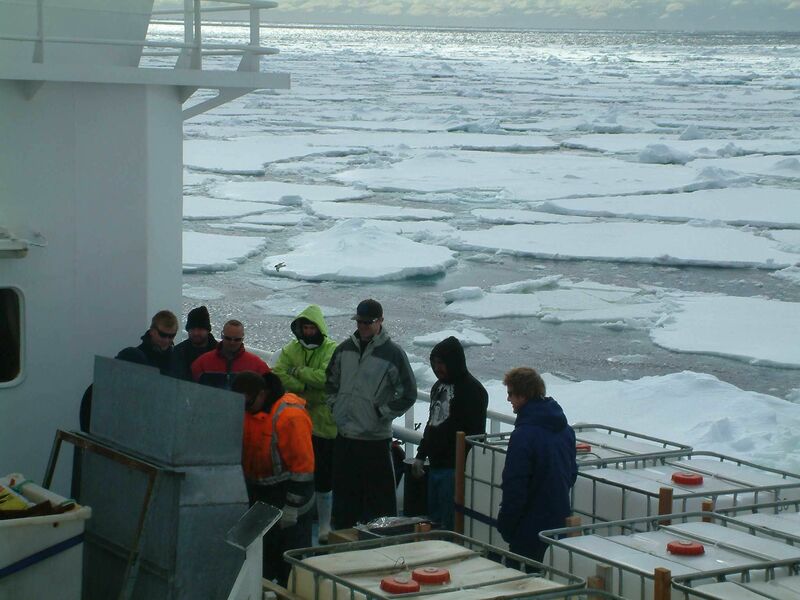 Now its time to head south through the ice bridge. After a slow start the ice is melting very fast now with huge open leads allowing easy access to the south and into the Ross Sea, I expect it should only take us 36 to 48hrs to weave our way through the ice. Great timing for a break while we steam south, its Christmas eve and the boys have all pitched in, with much guidance from Hamish, to put the Hangi down with wild pork, kumara, pumpkin, stuffing and all the trimmings, its a cracker ! Tomorrow’s big feast will be just as good, I will report again then. 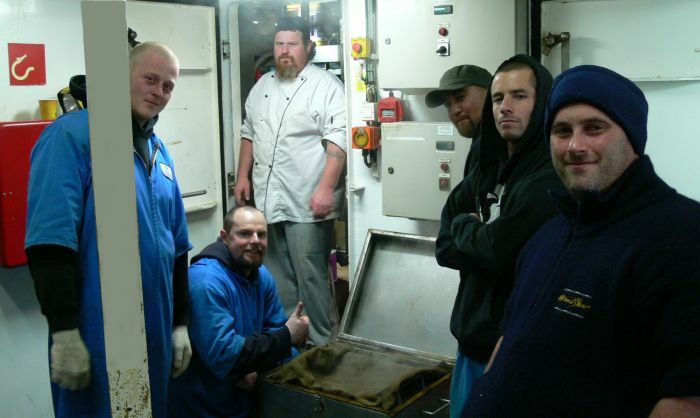 from left: Shooter, Ronan, Hamish, Blain with cap ( alias Full Boar, who caught and killed the wild pork), Jamie and Brady checking out the Hangi steaming away on the Tuna deck, just aft of the galley back entrance. After all the preparations we are finally back at the coal face of the whole operation….hauling and setting long lines. We got off to a pretty good start but were greeted by this large tangle on the second day of fishing. Caused by a combination of; Me setting in the wrong direction, strong currents with the full moon, ice pulling the floats out of position and probably several other reasons we’ll never know. This tangle has just over 1 km of long line and about 1,000 hooks in a ball. It was pulled out of 1,600m of water and took an hour and a half just to get it up to the boat with the main hail hauler pressure up to 1.5 ton, then another hour to get it aboard safely and resume hauling the remaining 7 km of long line. It is dangerous working in the hauling room, but these guys know exactly what to do in situations like this and they get plenty of practice when the full moon tides start running. Start of the tangle, there were quite a few fish caught up in the middle of this one. After and hour it finally comes aboard in one big lump. Tomorrow the season officially opens, we have spent the last 2 days searching the fishing grounds for the best spot to start and we reckon we’ve found it. It’s around 65s, there isn’t too much ice about and the ice that is here is melting fast. This morning, for the first time since we left Timaru, the sun has come out in full force. And, when Hamish decides it’s a good looking day for a BBQ, it’s all on. In his book, there is no point coming all this way to the edge of the world on a 3 month boat trip unless we can kick back a little when the sun comes out (even though it is -3 degrees), I happen to agree with him there. The boys around the Barby, smoke and all. Check out the grill, I think it’s a piece of deck plate from the factory ! You don’t need to be mad…but it sure helps. We had 2 rolly days while steaming south, W-NW 35-40kts with rough sea. Thankfully the weather was mainly on our stbd beam and didn’t slow our speed too much. We entered CCAMLR at 60 00s 172 30e, from there we enjoyed a slight S-SE breeze with calm conditions. Sea temp 2, Air temp -3. Now that we’re through the worst weather between 45s and 60s it’s a good chance to get the fishing gear ready on deck before the temp really starts dropping. 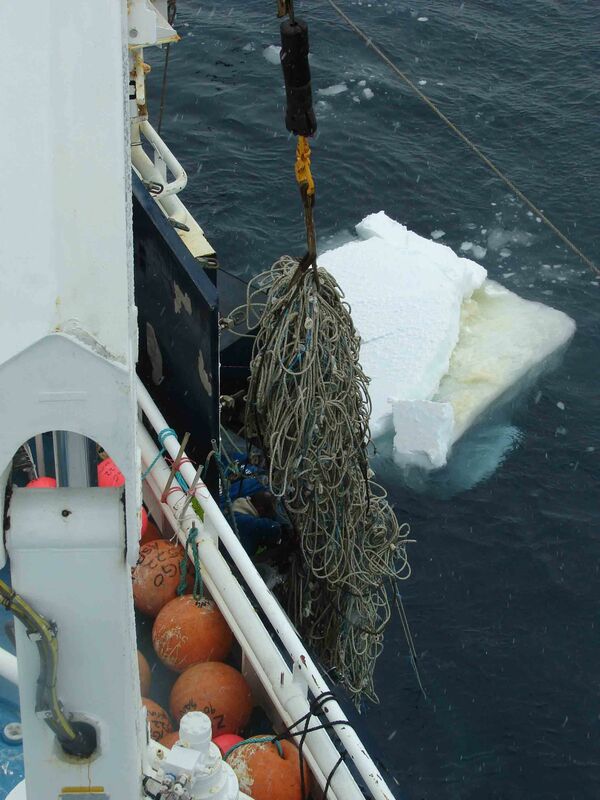 In the photo the boys are rigging the ice fender, it’s used to keep ice away from our line while were hauling. The ice maps are looking quite good this year and I expect the northern quota will be taken sooner than last season. After that we follow the maze of leads and tracks that will eventually give us access to the Ross Sea. For now we search about the fishing spots to find the best area to start. The trick is, to find somewhere with good fishing and the least ice. Even though we can fish through scattered floes of broken ice, doing so slows us up considerably. It’s much better to be in clear water working more lines if we can. From bottom left: Richard, Sandy, Sam, Ronan, Dwane, Blain. Top left: Brady and Jamie. Its about 1,300 mile from Timaru to the Northern Ross Sea ice edge, it’ll take us around 6 days to get there if the weather is reasonable. (Unreasonable weather is more than likely). Information we have indicates the ice is thawing faster this season than it did in 2008 and 2007, however, our records show much less sea ice during 2000 to 2005 than we’ve seen for the last 4 seasons. With global warming the hot topic of the day, we do not see it happening in the Ross Sea in recent years. The first job we must do before exiting NZ waters is check the sink rate of our lines to be sure they comply with guidelines set by CCAMLR. These guidelines have proven to be effective in the Ross Sea resulting in a zero seabird by-catch for all vessels involved in the fishery since it began 11 years ago. (Every vessel has at least one international observer aboard, the four NZ vessels carry two observers each, this is to help with the additional research we undertake). The line sink test is carefully monitored by both observers with the results sent to the Ministry of Fisheries (our lines must sink at no less than 0.3m per second) after that we receive a “warrant of fitness” allowing us to proceed to the fishing grounds. 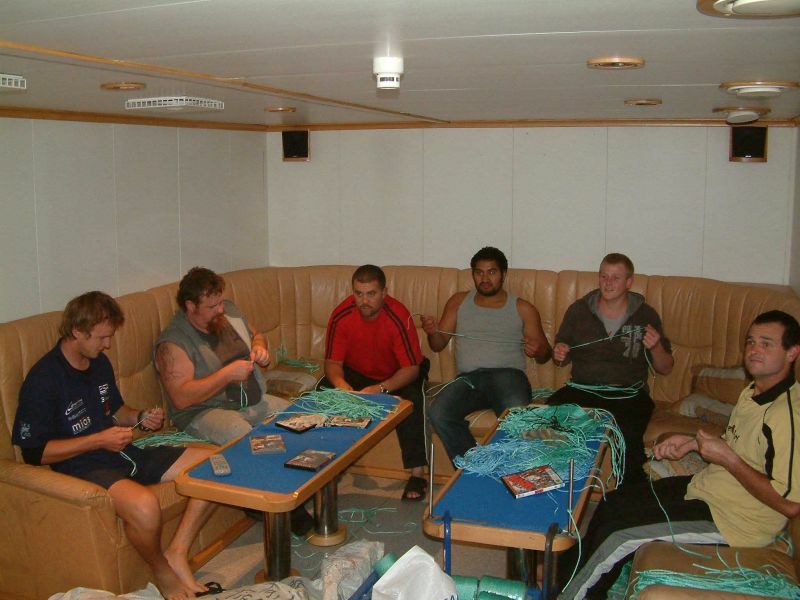 Some of the crew making up fishing gear in the TV lounge. 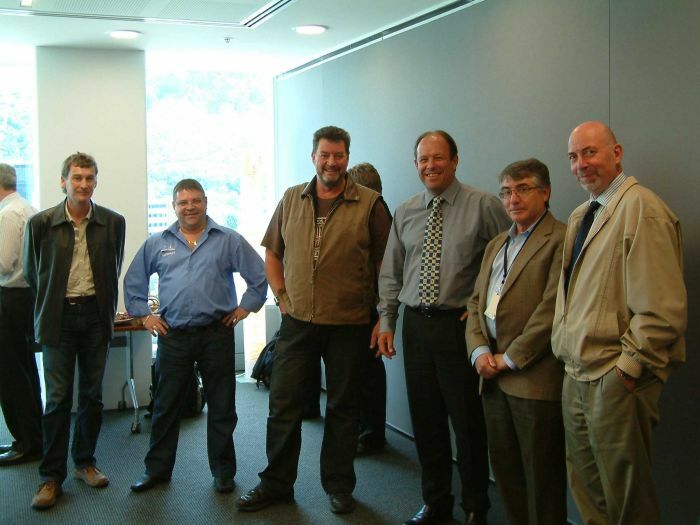 From left: Matthys (The CCAMLR observer lending a hand), Hamish (The Cook), Blain, Patrick, Adam and Sandy. Preparations in Timaru for sailing went well, most of the crew had arrived by Thursday 19th for an all day ACC training seminar while Francois and I were at the Wellington briefing. 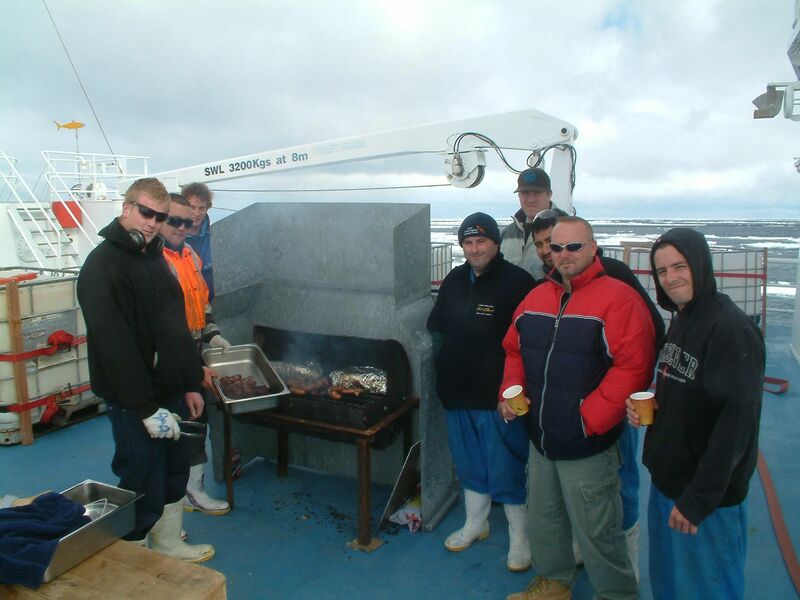 On Friday / Saturday fuel and stores were loaded leaving Saturday night for the boys to celebrate Christmas, New year, birthdays and whatever else they will miss during the next 10 or 12 weeks at sea. Amazingly, all crew turned too at 08:00hrs Sunday morning for last minute stores and lock down hatchers for sailing. Just before we left the wharf, Greg (Sanfords deep water fleet manager), came aboard and wished us well for the coming season and a reminder about safety on board in Antarctic conditions. He also explained the conditions and changes to our permit from last season and emphasized the importance of compliance in an internationally managed fishery. The weather forecast looks reasonable and I expect we will enter CCAMLR waters on about the 26th. However, I don’t think we have to travel too far south to find our 1st ice berg, by all accounts they are drifting north to meet us this year. 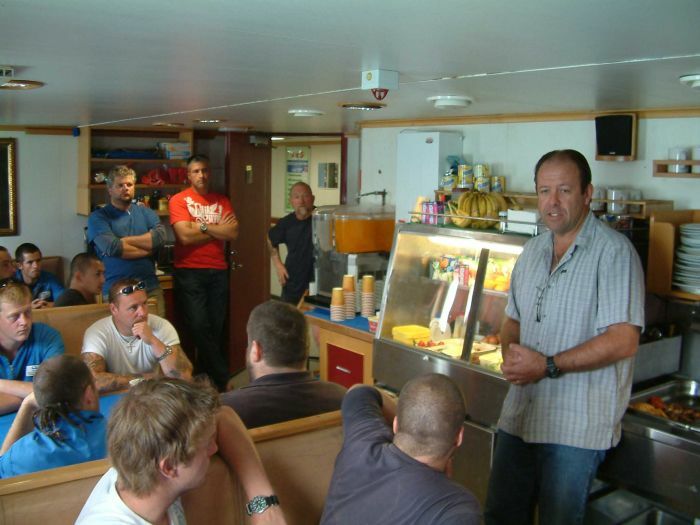 Greg J addressing the crew in the mess room just before sailing at noon on Sunday. 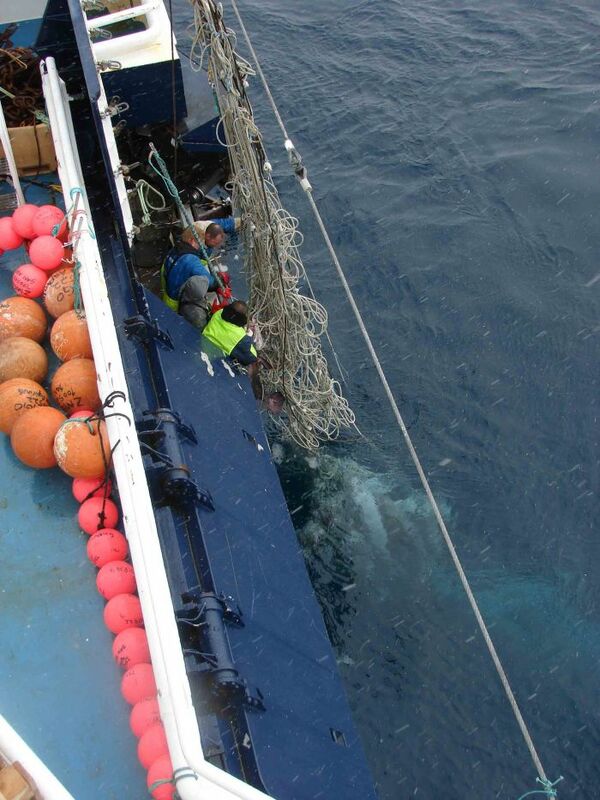 During the last month we have all been busy with preparations for the 2009-10 Ross Sea Toothfish season. It all starts in Hobart where CCAMLR (Convention on the Conservation of Antarctic Marine Living Resources) members gather every year. Scientists and government officials from around the world convene to set and agree on sustainable catch allocations for all fishing within the CCAMLR jurisdiction. This includes area 88.1 and 88.2 which we regard as our Ross Sea fishery. 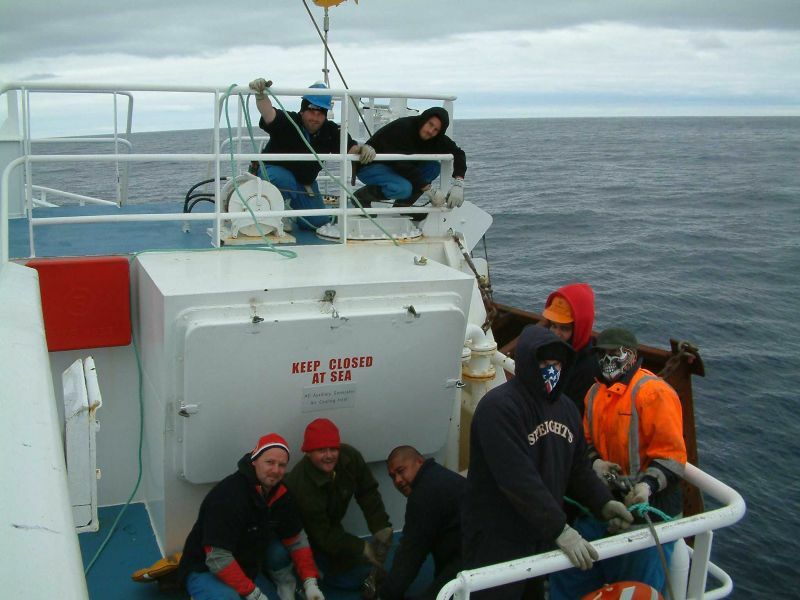 For us, the outcome was great….. Once again, all four New Zealand vessels were allocated licenses and the scientists have recommended a slight increase for the total allowable Toothfish catch for the coming season. But, there are a few more regulations and research requirements attached to our permit conditions this season. The CCAMLR round of negotiations is followed by another meeting in Wellington just before we sail for the Ross Sea. This time, representatives from MFAT (Ministry of Foreign Affairs & Trade), MFISH (Ministry of Fisheries), the Observer Program, NIWA (National Institute of Water and Atmosphere), SEAFIC (Seafood Industry Council), RCCNZ (Rescue Coordination Centre NZ), LINZ (Land Information NZ) and our team from the ITC (Industry Toothfish Committee) all get together to make sure everyone is up to speed with the latest research and permit requirements. Every year the number of participants to this meeting increases, this time there were around 43 people attending and everyone was involved in some way with the Ross Sea Toothfish Fishery. 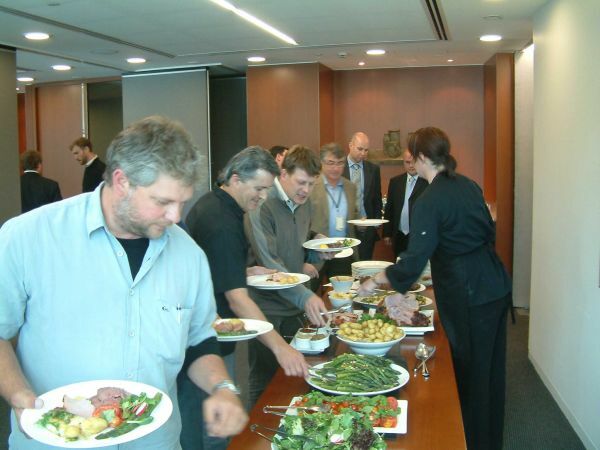 Francois lining up with people from the Observer program, NIWA, Foreign Affairs and the Ministry of Fishery for lunch. 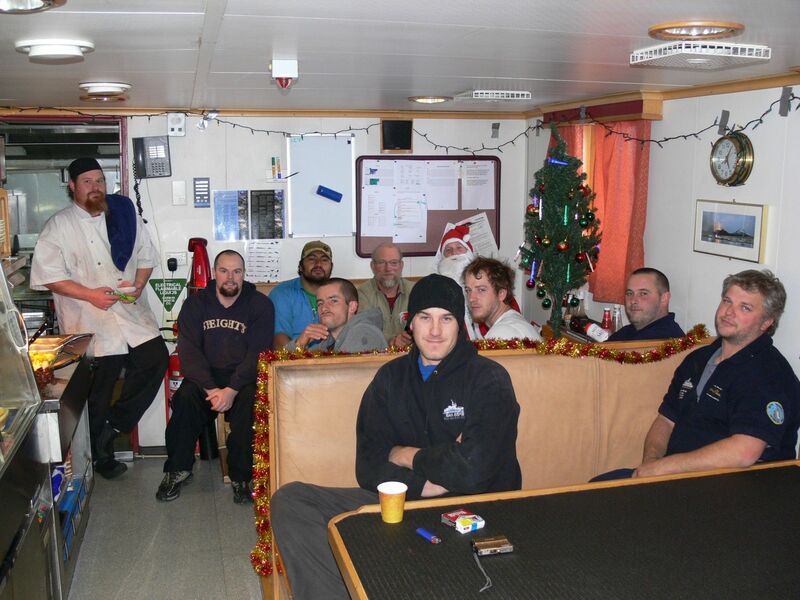 Jeff (Skipper of Janas for Sealord), Pete (Skipper of San Aotea II), Me, Greg (Sanford Deep Water Fleet manager), Trevor (MFAT), Jack (Sanford research and developments). 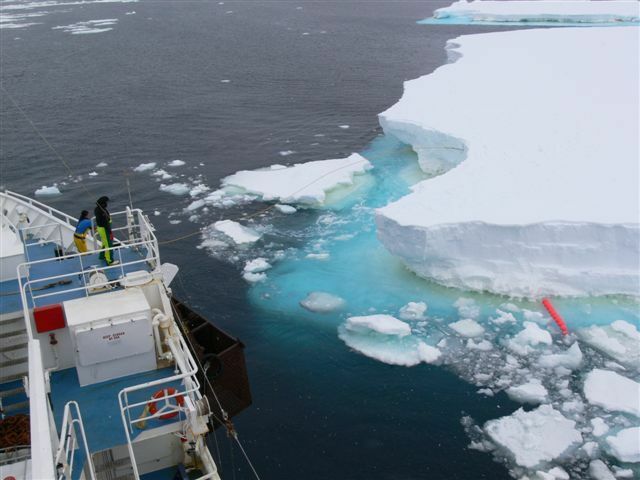 We sail south on Sunday 22nd November 12:00hrs…..by all accounts I don’t think we have to go far to see our first ice berg. Going around Cape Horn is a milestone in any seaman’s life. For many of this crew it’s their first time while some of us have made the passing several times. This time we all assembled in the wheelhouse for another family photo followed by a shot of Navy Rum that some friends from Port Stanley had given us just for the occasion. The weather was reasonable for the Cape with 25-30kts westerly and a strong westerly set at about 1.5kts reducing our speed to 7.4kts for the day’s run around the Horn. From here we have around 4,500 mile to steam before we reach Timaru. We will take the rum line, steaming straight west. The shorter, great circle route, would take us too far south into the ice, that is not a good option on a south-westerly course into the prevailing weather. This will be our last Blog for the next 20 days as not much happens between now and then. From Left, Thaio, Aaron, Sue, Ritchie, Chevy, Matt, Francois, Marli, Jamie, Laurie, Shane, Jake, Noel, Jessie, Greg, Juliet, Carl and Sandy(Missing from the photo is Dave the 2nd engineer and me with the camera).